Classic, clean-lined, with that oh-so-perfect touch of traditional style, the EKTORP leather sofa from Ikea is one of the company's top-selling furniture pieces. Its solid build and hard-wearing leather makes this an excellent purchase for those who don't want to spend a couple thousand dollars on a sofa. It comes in a lovely dark brown color that coordinates with every other color imaginable, even black. The surface is easy to clean with a washcloth and a vacuum, so you don't have to worry about spills or pets. When buying a sofa, no matter how expensive or inexpensive, the most important thing to consider is the internal skeleton and the cushion materials. The leather, which is dyed through, top-grain leather with a treated, embossed and pigmented surface, is also key to a long-lasting piece and one that is also extremely family friendly. 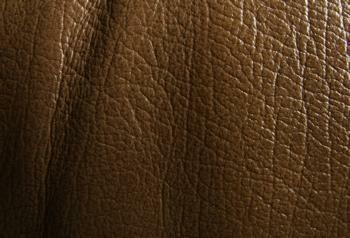 Expect to pay roughly $700 for the EKTORP leather sofa. The EKTORP leather sofa is a truly smart buy, thanks to the excellent pricing, quality of construction, and materials. To find the current pricing of this fine furniture line visit the EKTORP series at Ikea online.